Are Recruiters Looking For Qualified People? A common assumption made by most candidates is that, “I’m qualified. Why don’t you call me?” Simply put, you answered your own question. We don’t want qualified people. Recruiters are only looking for exceptionally qualified people. Especially in this market, companies don’t need to hire us to find qualified people. They can do that on their own for FREE. If you want to have recruiters notice you, if you want recruiters to call you once they receive your resume, and if you want recruiters to return your phone call, then you must demonstrate why you are exceptionally qualified. We are not looking for just qualified, or as most candidates indicate in their emails, “I think I’m a good fit.” Recruiters don’t want “a good fit” either. We want exceptional fits. Our book, “This is NOT the Position I Accepted” was written for this exact reason. We really attempted to help candidates understand how to demonstrate they are an exceptional fit. The 5 steps in the book give great detail on being or becoming exceptional. These 5 steps closely follow a sales model, after all, you are now in sales. 1) Define the product. That is you. Why are you so different from your competition? This is the, “what makes me exceptional” part. If you can’t define this, then you are not exceptional. Don’t feel badly. Not everyone can be exceptional. Only the top 15 – 20% are exceptional. This is probably the biggest reason most candidates fail at being exceptional. They don’t take the time to perform an in-depth analysis of their strengths and transferable skills. (We have a free skills assessment tool for you do download at the bottom of our home page CLICK HERE TO DOWNLOAD). 2) Identify Customers. All good sales people have a target list of customers , who they want to talk to in that company, and how to get to them. This is your network. Of the thousands of candidates I interview, very few have a real focused, targeted list and a plan to get to the person. Real sales people don’t just randomly call on companies and neither should you. 3) Marketing Materials. This is your resume. Sales people know that marketing materials are just support documents that open doors. These documents don’t close the sale. Most companies that are market focused have multiple marketing documents. They know that customers are motivated by different things and they need to get to what motivates that customer to make a sale. One size fits all, doesn’t work. Your resume should be focused to the company/hiring manager/recruiter’s motivation. Your resume should clearly articulate the benefits to the person or recruiter whose attention you want to attract. This is not one size fits all. 4) Sales Presentation. In the candidate’s case the presentation is the interview, either via phone or face-to-face. Sales people practice this at length. Sales reps often have the manager go along to ensure they are skilled at this. Sales reps anticipate objections, seek out the answers to overcome the objections, and then practice to make them appear unrehearsed. Sales people know exactly what questions to ask to elicit the information needed to make the sale. Most candidates don’t rehearse their presentation to anyone. They practice answers in their head, but rarely write out the answers. I have watched more interviews collapse when the hiring manager asks, “What questions do you have for me?” The candidate sits there like a deer in the headlights. This part of the interview is so important that we have included over 150 questions to ask in an interview in our book and have even divided the questions into categories. The list includes questions on leadership, initiative, values, management style, and questions specific to the job, organization, etc. The questions you ask are often more important than the answers you give. To receive a free chapter on, “Winning the Phone Interview” CLICK HERE. We also have a whole chapter on the ten most important questions to ask in an interview. Less than 10% ever ask even one of these. Amazing. 5) Follow-up and closing. It is all a waste of time if the follow-up and closing doesn’t happen. For candidates, this happens in a couple of different areas, thank you letters (we even provide an example), second and third interviews, and of course closing the deal. This may even include a contract. Mastering, NOT JUST KNOWING THESE, but mastering these will make you the exceptional candidate recruiters are seeking. Knowing them will ensure you stay a qualified candidate. For more information on becoming exceptional see all of our free resources, review the free audio library where we post new audios every week, read our other career management blog entries and even listen to our talk radio show on Monday’s at 11 – noon PDT on www.latalkradion.com. Now you have the resources and tools to become an “exceptional” candidate. We hope you will pick up the tools and begin using them. As a recruiter I must review hundreds of resumes a week and tens of thousands in my 30 year career. Over the last few years, I have noticed a dramatic increase in the amount of turnover candidates have on their resume. I have also noticed a dramatic increase in push back from clients on the amount of candidate turnover. One enters the Circle of Transition the moment any level of frustration enters their job search. You can be employed or not, it doesn’t matter. Once you become frustrated with your current situation you are either in, or about to enter, the dreaded Circle of Transition. So this is how the circle works; that frustration eventually turns into desperation, that desperation turns into rationalizing that a less than acceptable position may be a “good” opportunity. After enough rationalization the candidate begins the justification process. Now in their mind they have actually justified why a less than acceptable position is a “good” opportunity. Once it is justified, that then leads them to accepting a less than acceptable position. Six to twelve months into the less than acceptable job, frustration sets in, then desperation and you are in the Circle of Transition. Our job search workbook, “This Is NOT The Position I Accepted” goes into great detail on the Circle of Transition and how to avoid it. You can get a graphic of the Circle of Transition for free on our Web site just click here. One solution to the Circle of Transition is always understanding exactly where you are in the circle. This is extremely difficult for most candidates. Simply because once in the rationalization phase, candidates don’t or won’t accept that the position isn’t right for them. They completely ignore their gut, coaching from others, or any advice. My recommendation is to click here and download the graphic and paste it on your mirror. Every morning pinpoint exactly what phase you are in. This way at least you can start to deal with the issues. The solution to every problem starts with identifying the problem. Once you know what phase you are in then you can deal with it and maybe find your way out of the circle. We offer a wealth of FREE resources for candidates in-transition. We encourage you to take complete advantage of these resources. To explore our audio library and download past radio shows just click here. To listen to our talk radio show every Monday from 11 – noon PST click here. We encourage and request your comments and feedback. Please consider giving us your thoughts in the comment section. Most interviewing processes start and stop with the phone interview. In our opinion this is the most important interview. Not only because if you fail here the process stops, but mainly because it sets the stage for the in-person interview if you do well. Have a great phone interview and the mindset of the person bringing you in for the face-to-face interview is already positive, they believe you must be qualified, and you are starting out in a strong position. List all three factors that can be measured during a phone interview. Must list all three. How long should you talk before re-engaging the interviewer? Is the format for answering a question different than a face-to-face? If so, what is different? Is there a possible benefit from not answering the phone? If yes, what is it? What is the only purpose of a phone interview? If you can answer all of these, then you are aware of how different the phone interview is from the in-person interview. If you can’t answer all of them then you should consider doing your homework. It is possible you’ve missed an opportunity because you were weeded out during a phone interview. To help you, we have a number of completely FREE resources to make sure you know how to win the phone interview. Our chapter on “Winning the Phone Interview” from our job search workbook is free to download. It answers all these questions and more. We just posted a 1 hour audio file from our radio show focused completely on the phone interview. There are also a number of other blog entries dedicated to the phone interview for you to read. Our Linkedin discussion group is a great forum to discuss any issues you have regarding your job search. Our monthly Candidate Open Forum tele-conference has been one of our most successful methods to discuss all job search related topics. These forums fill up in less than a day. Click here for the next date and time. Please consider taking advantage of these. They are all free tools you can use to ensure you not only win the phone interview, but win the job. Help your friends and family know how they can win a phone interview by sharing this with them. Please let us know how you did on the quiz. Did you really know all of the answers? Yes, since it shorter and you can’t read their body language it is very important that your answers are succinct and impactful. The hiring manager leaves a message saying, This is the VP of HR from ABC company. I’m calling about X opening and would like to speak with you.” Now you can do some basic research on the company. To screen you in or screen you out. Are you a learner or a dunce when it comes to discovering how to improve your job search and reduce the time it takes to find a new opportunity. Do you explore every blog, tweet, and discussion group capable of offering new ideas and injecting renewed energy into your job search? Or do you feel you know everything there is about doing an effective job search. Is your attitude “You can’t teach an old dog new tricks”. The funny thing is that in my 25 years of executive search, I’ve discovered more 55 year olds than have a passion for learning than 25 year olds. Learning, growing, expanding beyond your immediate knowledge or bubble is not age dependent. It’s a life long attitude about personal growth and learning (this could be a entire blog post just by itself). Brad and I facilitate a vibrant community on LinkedIn that is rapidly growing toward being one of the most active job search discussion groups on LinkedIn and the Internet. We also make special offers to this LinkedIn Group, including participation in job search teleconferences, special white papers, examples, and first look at new templates we develop, such as the 8-Point Success Matrix for Assessing the Effectiveness of Your LinkedIn Profile. Join us today and jump right in by throwing out a question to the group, posting a comment on another discussion point, or adding a news link about a site, article, or blog posting you reviewed and thought would add value to the group. There are number of really good discussion groups on LinkedIn regarding job search. You should be on all of them, including ours. If just one idea you can glean from the groups helps you take an entire month off your job search, the investment of time would have more than paid for itself. Participating in on-line job search discussion groups gives you an opportunity to benchmark your own job search activities and success, bounce ideas off of other peers, learn about ideas that others have tried and you’ve never considered, and obtain leads and ideas of how to uncover those hidden jobs within companies for whom you would love to join. Are you learner or a dunce when it comes to improving your job search? A friend CEO recently reminisced about a conversation he had with his executive team. I thought this directly related to so many candidates that I felt compelled to share it with you. WOW, pretty powerful stuff. So how does this relate to you – the candidate. You have to “out” your competition too, or as the CEO said, “You will be out.” In this case, out of the running for the job you not only want, but need. So how do you “out” your competition? Two words, “Proper Preparation.” This in my opinion is the all time biggest reason candidates fail. The optimum word is “PROPER.” I didn’t say candidates don’t attempt preparation. I believe they do. The problem is that the preparation is so superficial and vague it is worthless. (See blog entry on “Where’s Wes – Not Waldo). Proper preparation is NOT about researching every “trivial pursuit” fact about the company since it started in 1950. Good stuff to know, but when was the last time in an interview you were asked, “Tell me everything you know about the company?” I suggest never. Instead prepare for the questions you will be asked. Proper preparation is writing out complete and detailed answers to commonly asked questions. In case you missed it, writing out. Just to stress the point, writing out. Practice, practice, and then more practice. Just like all professional speakers, entertainers, professional sports players, and performers you must practice. They practice so much that it looks easy, unrehearsed, unscripted, succinct, points clearly articulated and engaging. Few candidates are good enough to wing it. Did I mention writing out the answers to the most commonly asked questions? List multiple accomplishments for every position. Multiple because an accomplishment for one company may not be an accomplishment in another. Accomplishments MUST include quantifiable results. Forgetting this part would be like forgetting the punch line in a joke. Video yourself in a mock interview. This will be a real eye opener for many. If you want to “out” your competition you must be so well prepared and practiced that you stand out. You can’t leave anything to chance. Final note for all of those now thinking, “I already know all this stuff.” Great, but are you doing it? We all know a lot of things, the problem is doing them. The bigger problem is doing them at such a high level of skill that they look easy. To help you “out” your competition we provide a wealth of free resources and tools. Our free audio library is full of helpful subjects, the articles are free to download, our Linkedin discussion group expands the wealth of resources to other qualified people, and we constantly post new stuff to help you “out” the competition. Consider bookmarking our candidate FREE Resource page and check back at least weekly. Our comprehensive job search workbook is FREE to read and implement the preparation tools and templates included. This will ensure you have the right preparation process. With a reader rating 4.25 out of 5 it is certainly worth considering. If this was helpful please share it with your friends so they also benefit. We encourage comments and look forward to your thoughts. Hiring often starts with a phone interview. For candidates who don’t understand the unique subtleties of a phone interview it is often the end of the interviewing process. Using our DRESS UP model for conducting a phone interview will ensure you move on to the next step. We discuss the biggest reasons why many candidates fail the phone interview and give you solutions on how to “Win the Phone Interview.” Learn to win the phone interview and you will the job. 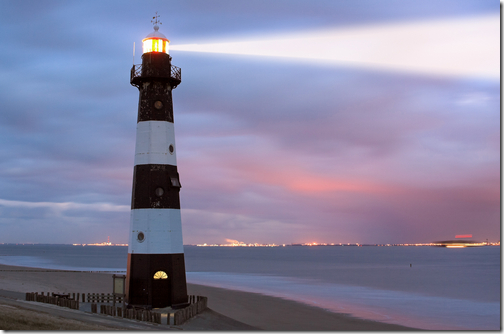 Adam Singer, writing today in his blog, The Future Buzz, used a lighthouse with it’s powerful lens as an excellent metaphor for networking on-line, particularly in using on social media, groups, discussion boards, and other communities to draw attention to yourself in your job search. A beacon is an intentionally conspicuous device designed to focus attention on a specific location. Visualize what image the word beacon conjures in your mind: perhaps a lighthouse casting light onto an otherwise dark horizon, or a signal fire atop a hill illuminating the night sky. In the physical world, a beacon is used to draw attention, act as a guide, or call to action. Civilizations have long used them to rally citizens together, protect ships from coastlines, and act as signal points. But the concept of a beacon is not limited to purely physical signaling points. There are beacons on the web – they are people, companies, networks, blogs, anything that can direct attention. You must become a beacon or you are essentially at the whim of others who point attention at their own discretion, perhaps shining the light on you for fleeting moments…if you’re lucky. You can read Adam’s full blog post at The Future Buzz. Are you a beacon to others in your job search. Is the attention of hiring managers drawn to the light you cast? If you missed our last post about using your LinkedIn Profile to become visible in your job search, you can still download the 8-Point Success Matrix for Your Job Search LinkedIn Profile. Within minutes, this matrix will help you to improve your existing LinkedIn Profile to become a bright beacon and attract the attention of recruiters, HR managers, and Hiring Managers in your job search.